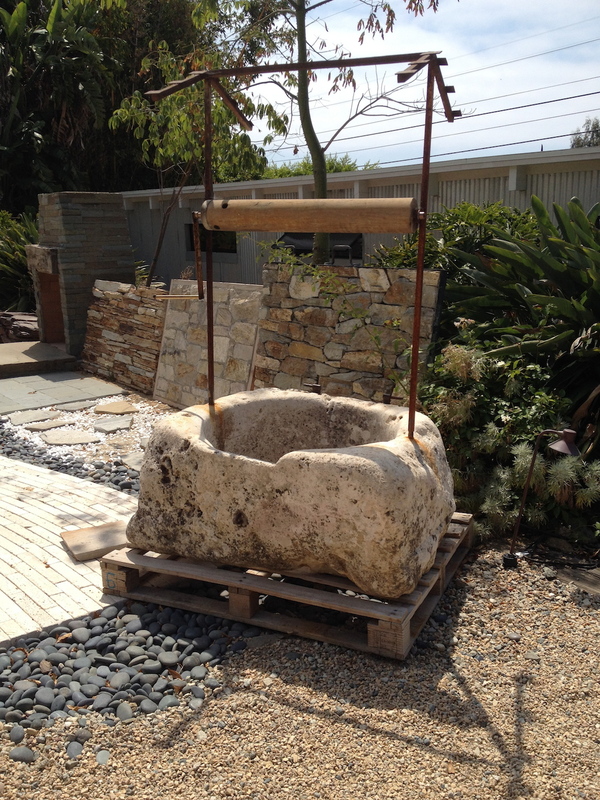 We have available at Malibu Stone a beautiful French antique Limestone Wishing Well from the 1700’s. With a rustic style to match many outdoor decors. The look of the well is consistent of it’s age and wear. The wishing well is 4 ft 7.1 in length, 39.37 inches depth, 6ft .8in tall and has a seat height of 23.62 inches. If you’re looking for a perfect top to cover your water well or small water feature, this is it!